Those of you who visit the Disneyland Resort every holiday season know what happens when holidays collide – in two words … Jack Skellington. So it should be no surprise to find one of our favorite Halloweentown characters on our Alex and Ani bangles. So treat yourself, as this is no trick, and get ready for Halloween a little early this year. Look for the new Jack Skellington bangle starting today at the following Disney Parks locations or online. So what comes after fall and Halloween? Winter of course! Just like Elsa, the cold never bothered me anyway, and these “Frozen”-inspired bangles, featuring Anna and Elsa are bound to be hot! Look for them in stores and online beginning September 8. Keep watching the Disney Parks Blog and follow us on across our Disney Parks social channels for more details on these new arrivals. Hello there! Was wondering when the Blue Cinderella Bangle will be available again?? I tried to purchase the Ariel Alex and Ani bracelet but it is sold out. Will they be getting more in stock or was this item only available for a limited time? Watching for these to get back in stock online, along with the other princesses & the Mickey with Pluto one. These will be back, right? Michelle I just contacted the merchandise guest service number and they cannot do any ordering of any type of frozen merchandise The Alex and Ani is sold out and had sold out in 20 min they said from the online store. Do you know if any more will become available and when? If so will it be in time for Christmas? that would really be a magical day!! They’re finally available! Just got mine! Alex n Ani Frozen just popped up!! Got mine. They are finally on the website! Just ordered mine! GO GET YOURS NOW!!! They are online! It’s online! Just got mine!!! Good luck! I’ve checking the website since Midnight and haven’t seen them posted at all. The Disney Store just said that it wasn’t available on the website yet, but to keep checking back. I just called guest services and they said they are being released online today and to hurry because they sell out fast. I haven’t seen them posted at all! I’ve been checking since 6am!! I was just going to post the same thing! Has the released date been changed? Thanks! I’ve been up since 3am waiting for the Anna and Elsa bracelet to appear online! No luck. When and what time is it going on sale??? According to the original post the Anna & Elsa bangle was suppose to go on sale today, but I don’t see it available online this morning. Did the release date get pushed back? Just called the Disney Guest Services and all Frozen merchandise is unavailable. Any ideas where I can find the Alex and Ani Frozen bracelet? Thanks! It’s September 8th and I don’t see the Frozen bracelet on the website… any update? I really hope they continue to add more to the collection for different movies or add more to the princess ones like flounder for the little mermaid or the rose or teapot for beauty and the beast, etc 🙂 — in addition to the new frozen and nightmare before Christmas bangles!!! Also I Love love LOVE my Ariel bracelet. 🙂 the detail is amazing. Highly recommend it! I heard the Jack Skellington bracelets went on sale this morning in the stores. I do not live near any Disney Parks. I’m wondering when that bracelet will be available on the website? The nightmare before Christmas is one of my all time favorite Disney movies I want to make sure I don’t miss out on it. Hi Jessica! The bangle was available via DisneyStore.com/AlexandAni but sold out rather quickly. I would continue to watch for the item to be re-released or call our team at Merchandise Guest Services at 1-877-560-6477 to inquire about purchasing one. If a bracelet sells out will they get more? I missed the Tink one a few weeks back and wanted to see if there would be more sometime. Hi Jaime! Definitely just keep an eye out. They will often re-release them online when quantities are available. 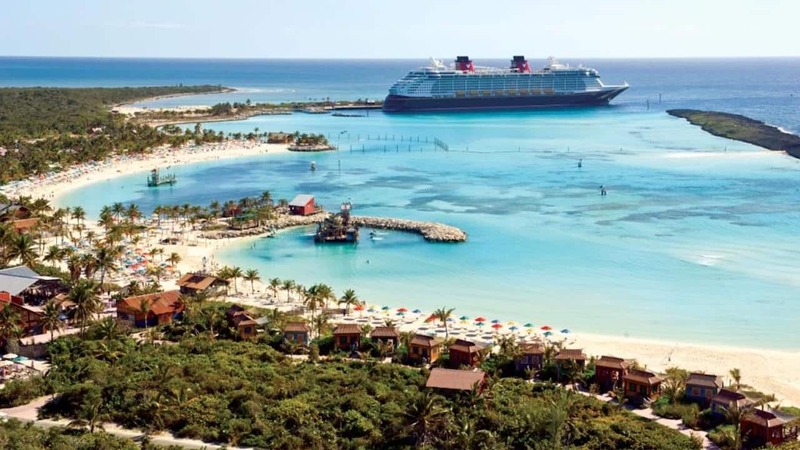 If not, I would recommend calling our Disney Merchandise Guest Services number at 1-877-560-6477 to inquire about availability in Parks and perhaps they can process the order for you. I’m so glad the information helped! I hope you enjoy them! Hi, Just wanted to let people know that if Disney Store store is sold out, which it usually is, order from the Disney Parks directly at 1-877-560-6477. They usually have a lot, and, they get them straight from the parks. Just got my Jack from them. They charge shipping (no connection to Disney Store for free shipping), but, if you live outside of Florida, and, maybe California, there is no tax. In addition, if you have Disney Visa, or certain passes, those people get discounts, just ask! You can order everything that Disney sells at that #. I hope everyone who collects these bracelets gets one at the regular price. Good Luck! Thanks Stacy! You are absolutely right. Our Disney Merchandise Guest Services team can certainly assist. I LOVE the Frozen bangle and am thinking what great Christmas gifts for my daughters if I can get them before they are sold out. Disneystore says the Jacks are sold out already!! Noooooooo!! I wanted one sooooo bad!!!! This is the bracelet I was waiting for!! Heather, Ariel was also debuted not to long ago. 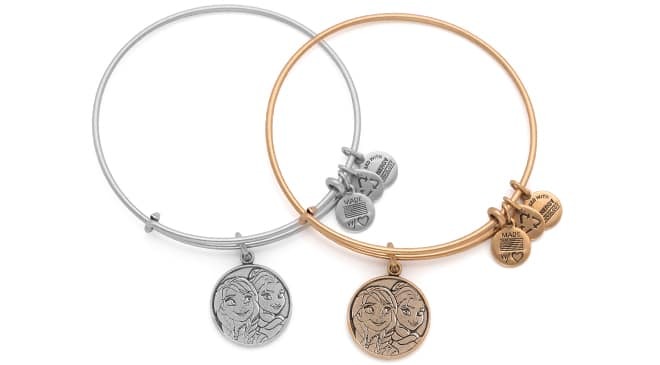 As for additional princess inspired bangles, I can honestly say I don’t know, but when and if they do come out, you can count on the fact that I will be posting it on the Disney Parks Blog. Love the Frozen bangle! Any chance we’ll see bracelets for Mulan and Merida? The Bangles & Charms are adorable. Do you know what they’re made of? & ~ Can you put more than one charm on a bangle? I realize that the charms aren’t sold w/o the bangle, yet could you take them off & add them to another bangle? I will check back here for your reply, yet there aren’t alerts sent when a reply/comment is made, so I get to remember to come back here for your reply ~ haha! Hi there! The Rafaelian Silver Finish and Rafaelian Gold Finish are the most popular finishes for the Alex and Ani bangles. They are a rich, eco-friendly matte Silver and Gold finish plated on a brass base. They have an antique look from the oxidation process and are coated with anti-tarnish to protect the piece and hold its finish. Each bangle and charm are sold as a unit. 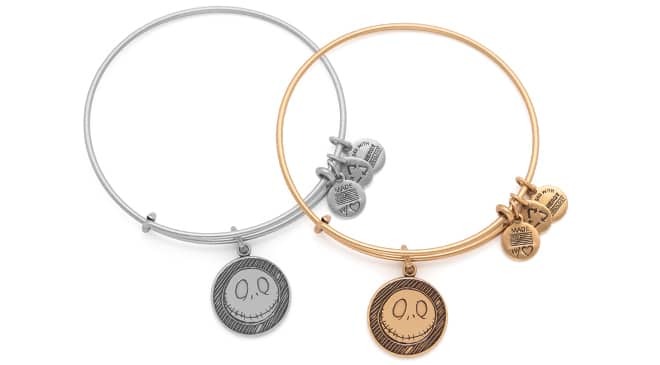 As of right now, they do not offer the ability to add multiple charms to one bangle as the products are meant to be stacked and mixed and match as the wearer sees fit. I hope this helps. I was so proud of myself for being able to resist the Alex and Ani bangles 2 weeks ago. But I won’t be able to do that this time. You need to have a 2’fer sale for them cuz I want both colors. Hi Suzanne! The Disney Store online site went live a bit early unexpectedly.